Ronnie answered “tough questions” about his personal life. 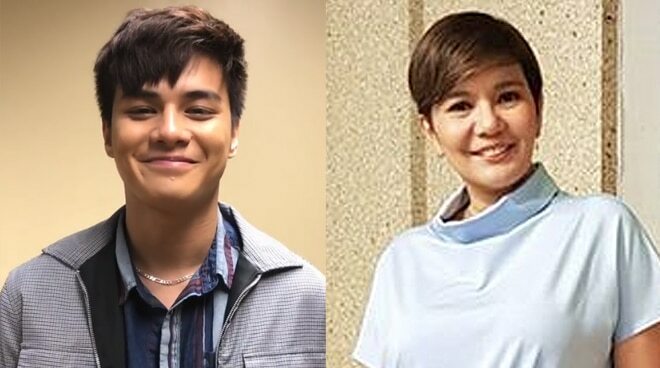 For someone whose private life is usually kept out of the limelight, it was surprising for Ronnie Alonte to take on the “Tough 3 Questions” – the newest segment of Hotspot led by DJ Jhai Ho – and finish it off without so much as breaking a sweat. Meanwhile, the 22-year-old was also asked to name a Kapamilya celebrity that he wants to take out on a friendly date, only that, it must not include Loisa. “Si Tiyang Amy [Perez]. Yes, love na love ko ‘yan kaya si Tiyang Amy,” answered Ronnie. Both Ronnie and Amy currently appear in the Kapamilya noontime show It’s Showtime.